Do you find it frustrating seeing other careless drivers taking up more than one car parking space? If so, then this may be to your liking. 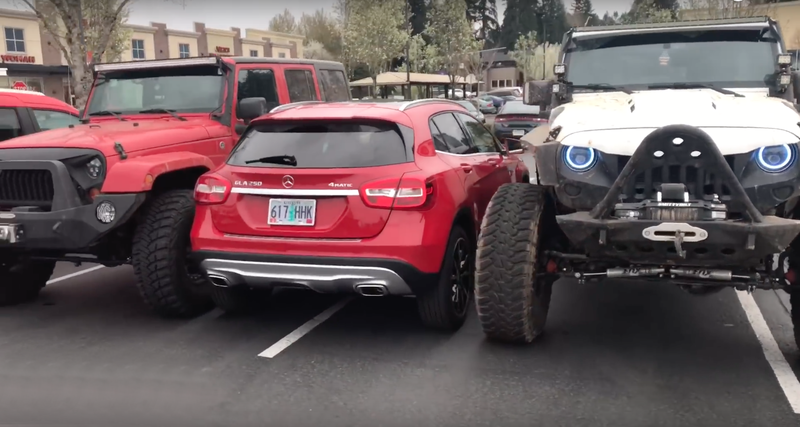 Over in the States, two Jeep drivers decided to get revenge on a poorly parked Mercedes GLA driver. While the Jeep owners clearly see the funny side, the Mercedes driver doesn’t. Maybe this will make him think twice about hogging more than one space. This entry was posted in Random, Video, Youtube and tagged Parking, Revenge, Youtube.